Create a dramatic appearance to your kitchen backsplash with this bold dark brown, cream, and copper glass and stone mosaic tile. The dark beauty of polished and honed stone combines with the glossy surface of dark brown, cream, and copper glass to create a one-of-a-kind contemporary tile. 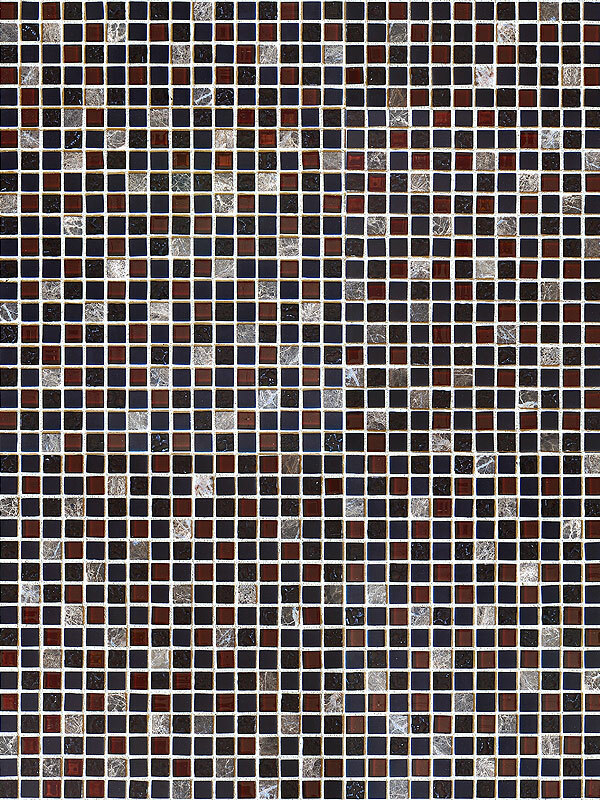 Make a strong statement with this delightfully dark and sophisticated brown and cream glass and stone mosaic tile. Your home will be the envy of all your friends.